President Donald Trump presented the nation's highest military honor to the widow of Tech. Sgt. John A. Chapman, of Windsor Locks, Connecticut. 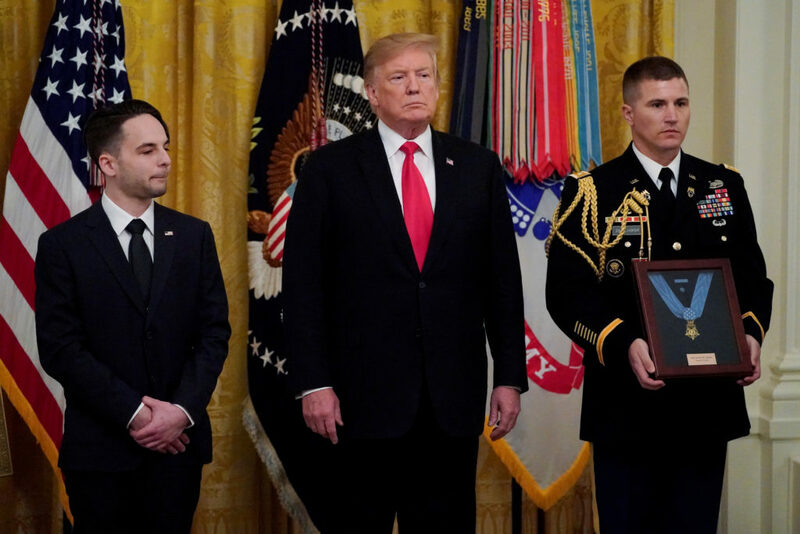 President Donald Trump presented the nation's most prestigious honor for battlefield bravery to Master Chief Special Warfare Operator Britt K. Slabinski on Thursday at the White House. President Donald Trump will award the Medal of Honor on Monday to a Vietnam War veteran from Alabama who risked his life on multiple occasions while serving as a medic. An Army medic from Michigan who risked his life multiple times to rescue Vietnam War comrades is becoming the first person to receive the Medal of Honor from President Donald Trump. WASHINGTON -- President Barack Obama awarded the nation's highest military honor Monday to a Navy SEAL who participated in a daring 2012 raid that rescued an American hostage in Afghanistan.